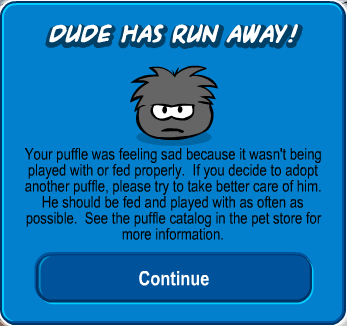 The bad news first, my puffle, Dude, ran away today. It’s kind of sad cuz I had him for a year and stuff. The good news is I found him! 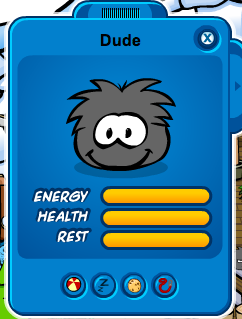 I never thought you could find your puffle after losing it! 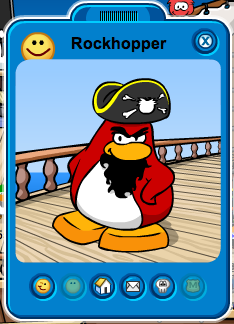 In other good news, I found Rockhopper! 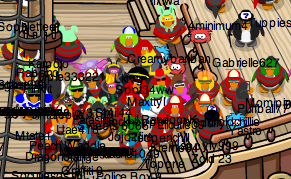 I found him on his ship and then we followed hime to the beach, and then back to his ship, then he left.